Capital Construction, a general contractor that began life over 30 years ago working predominately for cost-conscious commercial and not-for-profit organizations. It continues to do so today with the added commitment to meet the ever-growing desire of clients to comply with the U.S. Green Building Council’s Leadership in Energy and Environmental Design (LEED) standards. LEED is an internationally recognized green building certification system. It provides third-party verification that a building or community was designed and built using strategies aimed at improving performance across all the metrics that matter most: energy savings, water efficiency, CO2 emissions reduction, improved indoor environmental quality, and stewardship of resources and sensitivity to their effects. Completed Capital Construction projects can be found throughout New York’s Capital District, Saratoga and Lake George region. 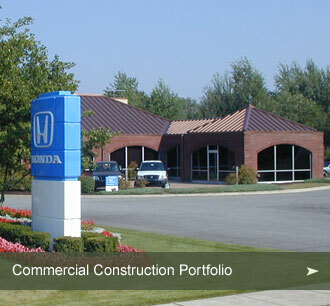 Take a look at our commercial construction portfolio.